It only took a little over two decades to arrive, but Mystery World Dizzy, the NES port of the arcade game Fantasy World Dizzy, which was supposed to come out back in 1993, is now available to play for free in honor of the character’s 30th birthday. Created by programmer twins Philip and Andrew Oliver, Dizzy was a somersaulting egg who platformed around strange locales in search of magical objects required to defeat evil wizards. 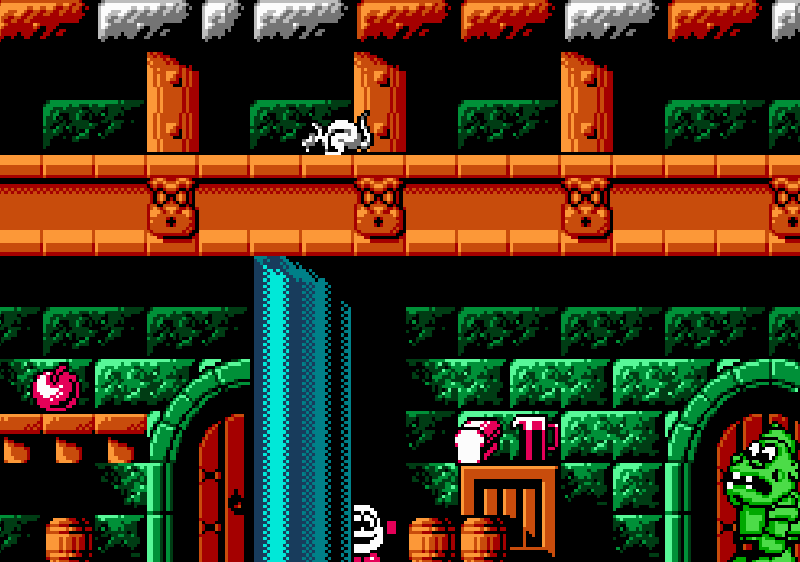 In his very first game, Dizzy literally had to find a Leprechaun’s Wig, a Cloud’s Silver Lining, Vampire Dux Feather, and a Troll Brew in order to cook up a potion. Why an anthropomorphized egg you might ask? To which I can only respond by saying why not an anthropomorphized egg? In conjunction with the newly released (0ld) game, the National Videogame Arcade in Britain has put together an exhibition to celebrate the character’s somewhat bizarre 30-year history. The two brothers have given them organization sketches, design documents, and even a recreation of their original work studio where they designed the games. While financial difficulties stopped that from being possible at the time, decades later the brothers have had a second chance to revisit the game thanks to the help of Lukasz Kur, a fan of the series who helped them with Wonderland Dizzy, another NES port of a different game in the series released for free online in 2015. For anyone not content just to play this latest episode in the Dizzy saga in their web browser, there will also be a Kickstarter campaign to publish an NES cartridge version. As for whether there will ever be a truly new Dizzy game, it’s hard to say. A Kickstarter project for Dizzy Returns fell well short of its ambitious £350,000 goal. But if the internet has proven anything, it’s that stuff rarely ever goes away for good, as demonstrated by the National Videogame Arcade’s bid to make today, April 8th, national Dizzy Day. Somehow I doubt we’ve seen the last of this particularly smiley egg.